One of the greatest things about modern dentistry is the range of options it offers for restoring damaged teeth. On one end of the spectrum is a simple filling, which is typically used to treat cavities in the early stages of formation. 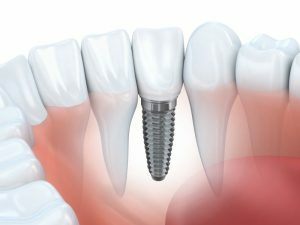 On the other end of the spectrum are dental implants, which are used to restore teeth that are missing altogether. You can think of a dental crown in State College as an in-between approach. It’s a good option for a tooth that has suffered some damage but is basically sound. Everyone likes new technology, right? Who doesn’t want the latest gadget or phone? But in some cases, older, more traditional ways of doing something can be better. For example, the Chairside Economical Restoration of Esthetic Ceramics (CEREC) crown uses newer, more advanced technology to deliver a new crown within hours. However, in some cases, the traditional porcelain crowns have a few advantages over their younger counterpart. Check out why you may want to consider getting a traditional porcelain dental crown in State College. Your teeth can last for a lifetime over the years. Now, new advancements in dentistry make it possible to ensure they last. Despite these innovations, tooth loss remains a prevalent problem. 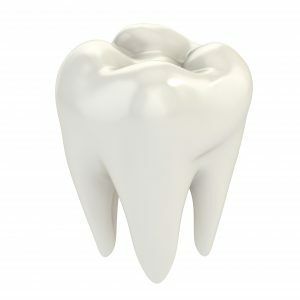 In fact, 120 million adults are missing at least one tooth. If you have lost one, you may not feel it is a top priority to have it replaced; however, if you do not, you will lose density in your jawbone. You can protect your oral health and complete your smile using the only solution to stop bone loss. You can make an investment with dental implants in State College. Imagine you are at the stadium watching the Nittany Lions march toward victory – when suddenly, you see yourself on the big screen during a break in the action! Smile and wave! 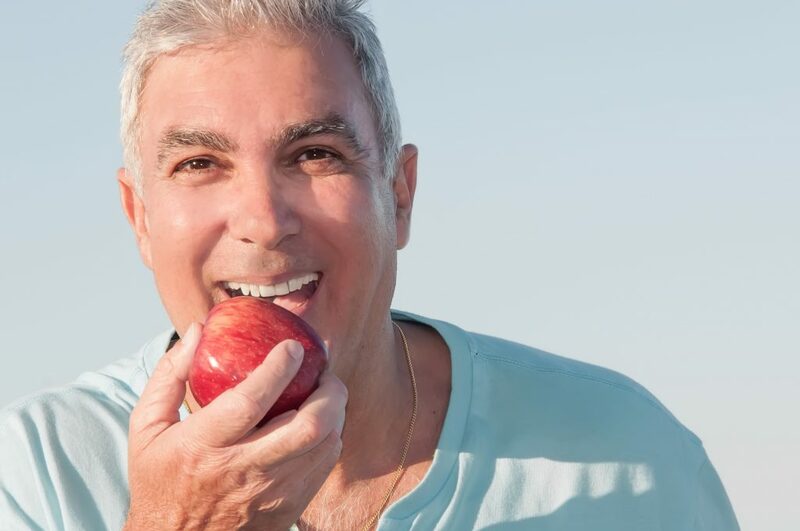 If you recently got dental implants in State College to fill in gaps in your teeth, you will likely feel comfortable showing off your new and improved smile. Your next task after successful dental implant treatment is to keep your new teeth healthy. Look no further: here are 3 important tips for caring for dental implants in State College. Any period of time without a full set of teeth is too long. That’s because losing them can cause several interruptions in your normal way of life. It’s not uncommon to have issues with eating certain foods, speaking properly and maintaining your self-esteem. With dental implants in State College, though, you’re able to regain the quality of life you’ve been missing. Read on to learn why this form of tooth replacement is the best available. If you are missing teeth, then the most obvious problem is starring back at you every time you look in a mirror: that gap in your smile. But, there are other factors to consider beyond the way you look that make replacing missing teeth essential. 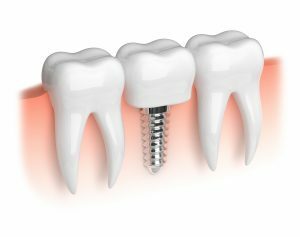 Dental implants are an excellent choice for tooth replacement, because they restore your complete smile, and they help you avoid several oral and general health concerns. Would you like to learn if dental implants are right for you? Then schedule a consultation with a State College dentist. 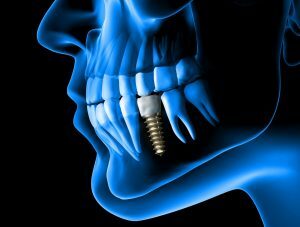 In the meantime, read on to learn more about dental implants and the implant surgery. 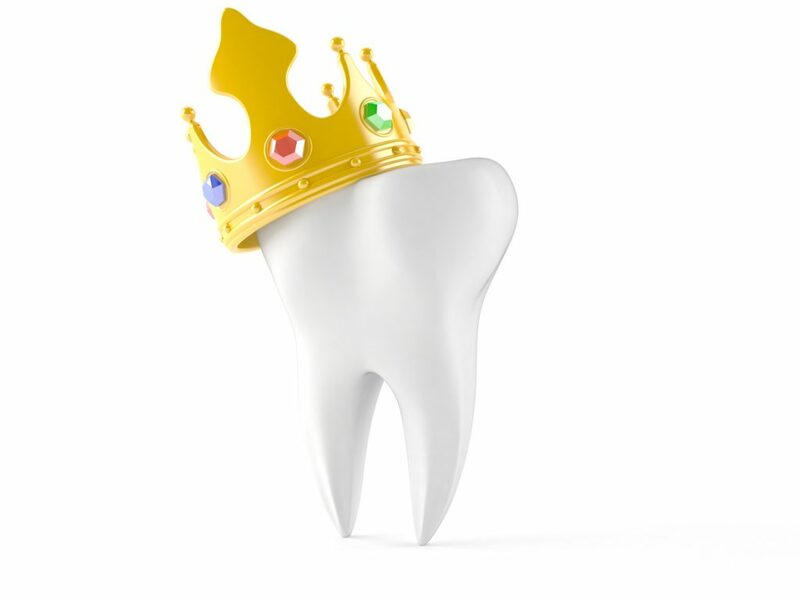 What Happens When You Receive Dental Crowns in State College? 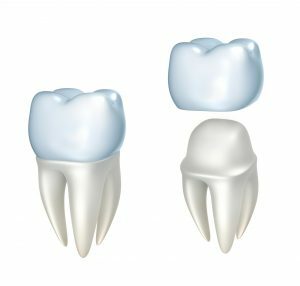 If you have a tooth that’s undergone a root canal or is damaged from decay, a helpful remedy is to have a crown replacement. 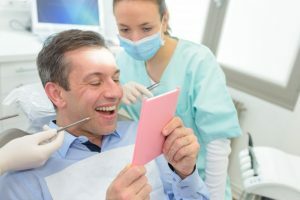 It’s one of the unique dental procedures that provides both functional and aesthetic benefits, but how does the process work? Continue reading as your dentist explains the steps for receiving dental crowns in State College so you can be completely restored. Comments Off on What Happens When You Receive Dental Crowns in State College? Do I Need Temporary Dental Crowns in State College? If you have recently had dental work performed by your dentist, such as a root canal, they may recommend the use of a temporary crown. Although you may feel that it is unnecessary, they are invaluable to the success of your permanent dental crowns in State College. While they are only in place for a short time, they serve an important role in your treatment plan. Comments Off on Do I Need Temporary Dental Crowns in State College? When so many Americans have gum disease, it’s no wonder that tooth loss is so high. 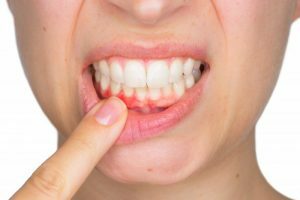 While 120 million Americans are missing at least one tooth, nearly 50 percent of adults over the age of 30 had either a mild, moderate, or severe form of gum disease between 2009 and 2010. Without treating gum disease, people won’t be able to keep their teeth for long. In the event that their teeth are lost due to gum disease, there’s always dental implants in State College to fill the gap! Learn Other Ways You Can Use Dental Implants in State College! More and more patients are becoming eligible for dental implants in State College every day! Thanks to bone grafting techniques, people who didn’t have enough bone to sustain an implant can do so far more easily, giving them the chance to a new life of smiles. Of course, that doesn’t mean there aren’t alternatives to implants your dentist wants to share as well. Through immediate load implants, mini dental implants, and All-on-4, patients can reap the benefits of a restored smile and function, without going the traditional route. Learn what they are in part two of our series on everything you need to know about dental implants! Comments Off on Learn Other Ways You Can Use Dental Implants in State College! Thursday: 7:30 a.m. - 3:30 p.m.